Don Region is well-known of its cultural and folk traditions. It's the region of wide open spaces, the place where the Don river flows down into the Azov sea. Its prominent history and folklore attracts tourists from all over the world. 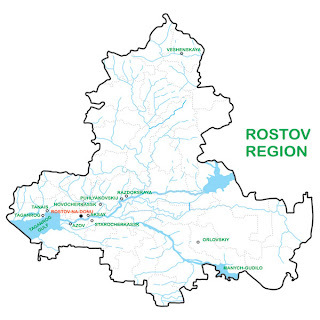 The Rostov region is the native land of the famous Russian authors Anton Chekhov and Mikhail Sholokhov, the Winner of the Noble Prize for Literature. The name Cossack is likely from a Turkish work meaning a free, independent man who carries out a wild life beyond the reach of any government. The Cossacks managed to survive by hunting, fishing and participating in war campaigns and were not involved in agriculture and farming on any large scale. Cossack culture is a horse culture, born on the open steppes, the plains and grasslands, the rolling hills of the Don region. For centuries it has been the domain of many semi-nomadic people who were herdsmen with few permanent settlements. 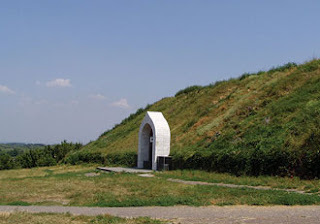 Azov is among the oldest towns of the region, a site inhabited for over 2000 years, strategically, at the mouth of the river Don, where the river flows into the Sea of Azov. At this place, in the ancient world, here was the beginning of the road that entered Asia, the Great Silk Way to China started here, as one stepped of their ship and onto the docks of Azov. On this side of the river is Asia, on the opposite shore is Europe. 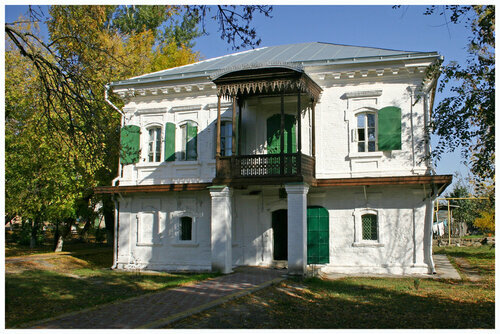 Russian history of this city is closely connected with the Russian tsar, Peter the Great. In his time the town was the largest economic, political, military and cultural center and the sphere of influence which included the whole South of Russia. Under the names Tana-Azak-Azov this ancient city of the Don area has gone down into Russian and world history repeatedly. Azov is a classical example of what was known as the “watch-tower system of fortress.” The fortifications are here. Ramparts and the powder magazine are unique examples of the military engineering skills of the 16th century. The pedestrian route along the historical path of the town allows you to become a part of the past epochs of this original town. The capture and devastation of Azov by the armies of Tamerlan, the Azov siege and the Azov campaign of Peter I against the Turks are only some pages in the history of this wonderful city. The remains of the rampart, the moat, Genoese wall, Alexseev’s gate and other fortification works have been preserved on the territory of ancient Azov. Azov is holds in remembrance it’s Venetian merchants, Tatar-Mongolian hordes and Turkish warriors, the Cossack defenders and so many others well into the 20th century. In the 16th century Starocherkassk (Cherkassk then) was the capital and armed camp of the Don Army. The brave and freedom-loving people who founded Cherkassk, defended it in many attacks from the Turks to the Tatars and declared it their capital. Many years and many battles have passed since that time but the history of Cossacks is not forgotten. Now in Starocherkassk, the heritage still lives on in nearly 150 memorials, monuments, the legends and songs and in memories of many generations, kept now for us today and the future. Of course among the most grand of these memorials is the Resurrection Cathedral. It was founded on the initiative of Peter the First. 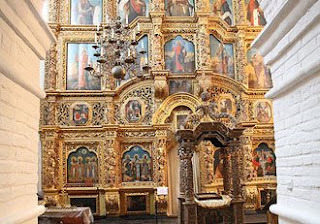 Deeply impressive are it’s wonderful iconostasis, 125 icons of the 18th century are kept here, all made of wood and still a hallowed part of Orthodoxy. The galleries of the cathedral are decorated with pictures showing the stories from the Bible and the Gospel record. The typical houses of the stanitsas (called kuren) have a distinctive style of architecture, 2 floors, a narrow balcony and colorful shutters, specially designed to protect occupants against seasonal floods from the river. The foreigneres used to call the city of Starocherkassk -Little Venice. The stanitsa is still famous for its religious value and contains a large orthodox monastery, which keeps a collection of the traditions of the monks and their spiritual deeds.